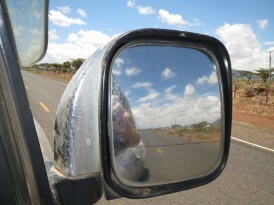 For our first week long holiday in Kenya, we headed north from Nairobi. We circumnavigated Mouunt Kenya, visiting many parks and reserves: Meru, Samburu, Bufallo Springs, Shaba, Ol Pajete and Abderdare. We had fun exploring! 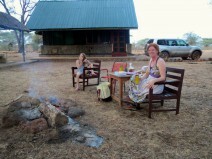 We stayed in a wide range of accommodations, including camping, lots of cabins and a ritzy place in Samburu. 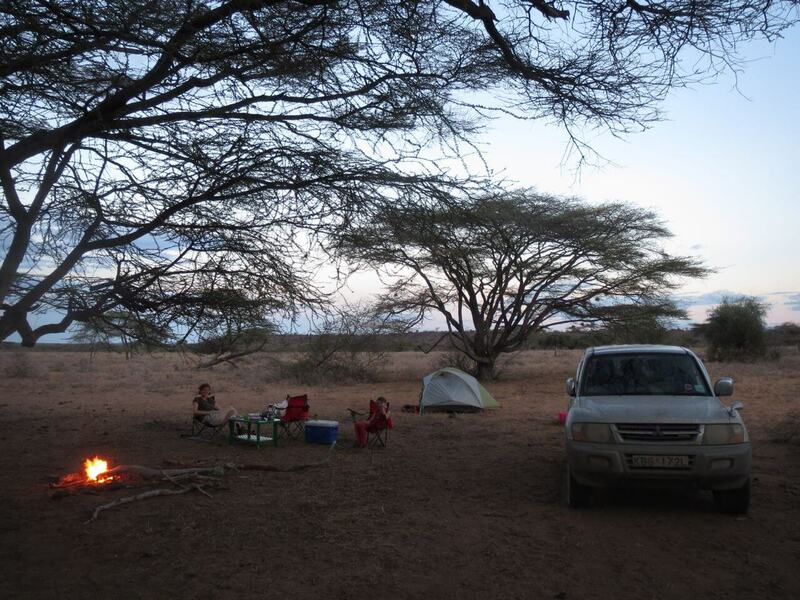 Our favorite however was wild camping in Shaba National Reserve, where the weather was perfect, the stars were amazing and a roaring lion walked right through our campsite at 2am! To open a gallery of the photos below, just click on any of the photos. 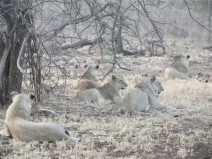 After a long hunt we found the pride. Herds of reticulated giraffes were all over Meru National Park. A sweet Banda run by KWS in Meru. Drinks after a long day of safari-ing. 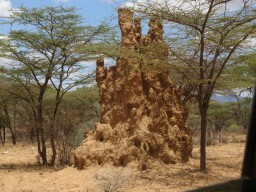 Termite mounds were a frequent part of the scenery in Shaba National Reserve. According to the guide a French bomb carved out this natural swimming hole. Zoe returns from inspecting a jackal’s kill (a gerenuk) with our armed guard. 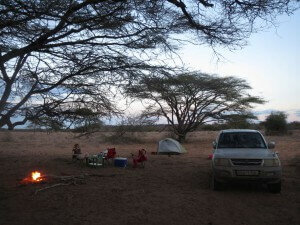 Our beautiful camp site in Shaba came complete with a lion roaring very close by for several hours – glad we had those two armed guards. 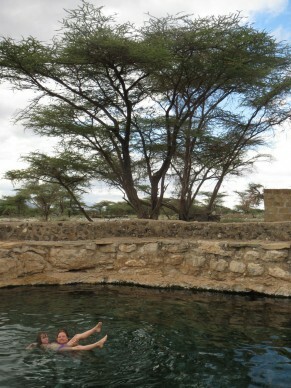 The Elephant Bedroom Tented Camp, Samburu – our tent came with a private plunge pool on the balcony! Obama, the wild elephant bull welcomes us to the Elephant Bedroom Camp. Lots and lots of elephants in Samburu. More reticulated giraffes – one of Northern Kenya’s Big 5. 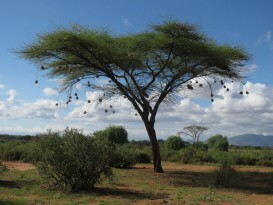 Weaver birds nests hang from most trees in Samburu. 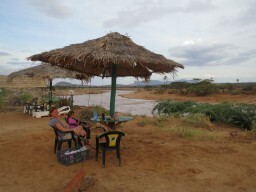 Ol Pajeta Conservancy with it’s Mt. 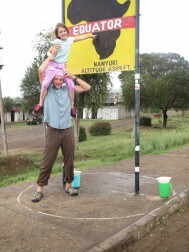 Kenya backdrop was a favourite. Lunching at Aberdare National Park. Luckily you can’t see the buffalo poop on the bench – one on either side of me! 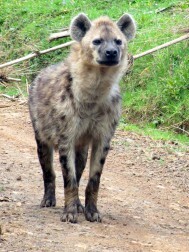 This spotted hyena ran in front of our car for at least 10 minutes, stopping every now and then to sniff the air and look at us. 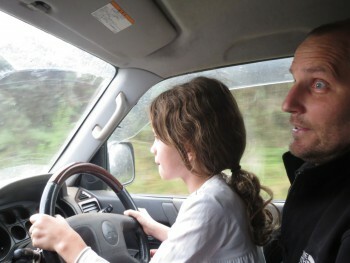 Zoe’s first driving lesson! She did great steering the car along the park roads. 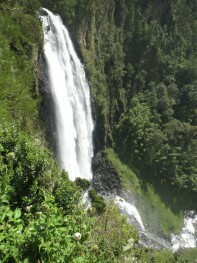 Karura Falls – one of the highlights of Aberdare National Park. 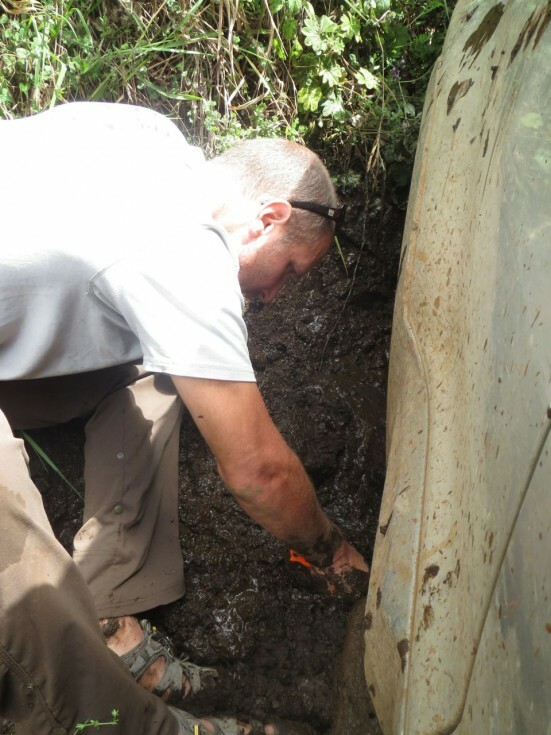 The other highlight – being bogged in mud for an hour and, finally digging ourselves out!